IRISH Socialist member of parliament Paul Murphy was among four people arrested yesterday morning in connection with a demonstration against water charges, during which deputy prime minister Joan Burton was trapped in her car, surrounded by angry demonstrators. The garda arrived at Paul Murphy's home in Ballinteer, south Dublin, about 7am, and at the same time two others were lifted. The fourth man was picked up on his way to work. Two of the men were local councillors belonging to the Anti-Austerity Alliance. All four were detained at various Dublin Garda stations under the provisions of Section 4 of the Criminal Justice Act. It is understood they can be held for up to 24 hours. It was reported later that Paul Murphy had been released, and by late afternoon all four were freed without charges. So why were the arrests made at all? It was back in November that Tánaiste(deputy prime minister) Joan Burton's car was unable to move for two hours after anti-water charge protesters surrounded it as she was leaving an event in Jobstown, south-west Dublin. The Irish coalition government has faced protests throughout the country against the introduction of domestic water charges, an austerity measure taken as part of its plan to repay the international financial bailout it sought in 2010. Many thousands of people have taken part in marches. 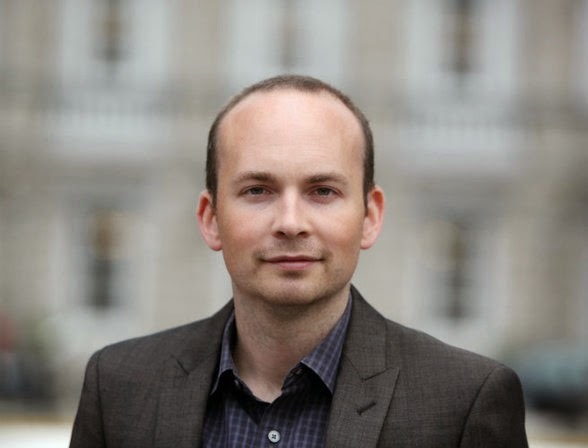 The campaign undoubtedly boosted Paul Murphy's election to the Dail, as part of an anti-austerity alliance, although he had previously served as an MEP. During the Jobstown protest about a hundred surrounded the deputy PMs car, chanting "we won't pay", and though Paul Murphy and others sat in the road, some banged on the car roof. Garda reinforcements and riot police were brought up to clear a way, and Burton was eventually driven driven away in an unmarked police car, though not before she had been hit by a water baloon. It appears nobody was seriously injured. Only two arrests were made at the time. Yet early on Monday morning, teams of five or six gardai went to people's homes. Paul Murphy, an elected member of parliament, was taken from his bed while still in pyjamas, as though a dangerous fugitive. At the police station he agreed to be photographed, but declined to answer questions about the Jobstown demonstration, on advice from his solicitor, he said. Socialist Party spokesman Dave Murphy said Paul Murphy was arrested at his home in Ballinteer, councillor Kieran Mahon was arrested at his home in Tallaght, while Mick Murphy was arrested while on his way to work. "This was done at seven in the morning, with teams of five and six gardaí [police] turning up at their house," he said. "It is part of political policing, to try and damage the anti-water charges movement and to portray protesters as criminals." https://www.sundayworld.com/news/td-paul-murphy-among-four-arrests-over-joan-burton-incidentThe fourth man arrested, Scott Masterson, was a member of the Socialist Republican party Eirigi. Éirigí’s Brian Leeson said Masterson had been arrested at his home at 7am as he prepared his two young daughters for pre-school and primary school. “When Scott’s partner returned to the house, having earlier gone to work, there were eight Gardaí in the house along with Scott and the two children. Scott was then arrested and made to stand in handcuffs on a public road for a number of minutes before being transported to Tallaght Garda barracks,” Leeson’s statement said. He said the arrests over the blocking of the Tánaiste’s car smacked of political policing and had been designed “to cause maximum disruption to Scott, his partner and their young family”. 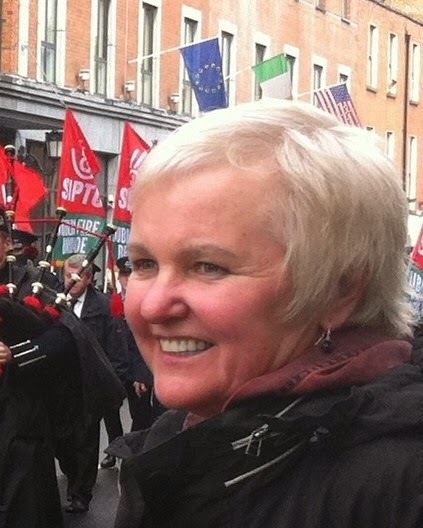 Brid Smith, a south Dublin councillor from the People Before Profits alliance, who unsuccessfully contested the Dublin South West Dail seat won by Paul Murphy, also condemned the arrests in a statement, saying Joan Burton’s visit had been a provocation for many residents. “Joan Burton has presided over decisions that have cut social welfare for young people, deprived single parents with children over 7 of One parent Allowance, and supported legislation which has cut the wages of public sector workers. Once her appearance in Tallaght was known, it was inevitable that there would be protests. ‘Paul Murphy acted as a responsible TD in joining his constituents on these protests and should be praised for sticking with those who elected him. ‘There is no evidence that he abused Joan Burton in any way – he simply sat on the road in a peaceful protest. ‘His arrest at 7am in the morning is in sharp contrast to the manner in which tax evaders are treated. On the morning of Paul Murphy’s arrest it was reported that Irish businessmen held secret accounts in a HSBC account Switzerland to evade tax. Yet I doubt if there will be any 7 am visit to their houses to make an arrest.